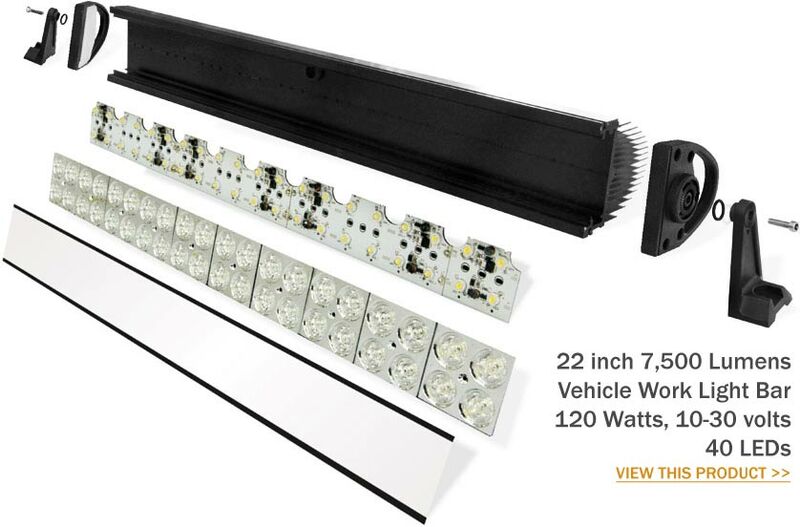 We have a wide selection of LED and HID vehicle lights / work lights / driving lights / LED spot lights / flood lights / HID Headlights / LED Light Bars and interior LED Lights. We have high-luminosity LED lights and ultra bright Xenon HID lights, IP65 and IP67 compliant. Some have housings made of diecast aluminium and others are ABS plastic. Most have wide voltage ranges. 18 to 300 watts and up to 24,000 lumens LEDs. High intensity Epistar LEDs are energy-efficient compared to filament or halogen lights and CREE LEDs are even more powerful and energy-efficient than Epistar LEDs. If you're running additional lights off a switched off engine, then high-efficiency HID and LED lights will drain the battery slower than traditional filament or halogen lights. Masai is a retail brand name of our design and manufacturing company Omega Automotive Ltd, owned and managed by the Kuman family based in England and Turkey. Since 1953 a passion for automotive engineering has flowed through 3 generations of the Kuman family. We are specialists in Windows, Metal Fabrication, Lighting, Vehicle Instrumentation, Suspension, Rubber and Cooling. We also manufacture and supply to many automotive companies around the world. See all our products on our other website at Masai.co. Or stay on this website and see them here. We have facilities in two of Europe’s long established centres of automotive engineering - Istanbul, Turkey - manufacturing, and The Midlands UK (Lichfield) - our Northern European distribution centre. 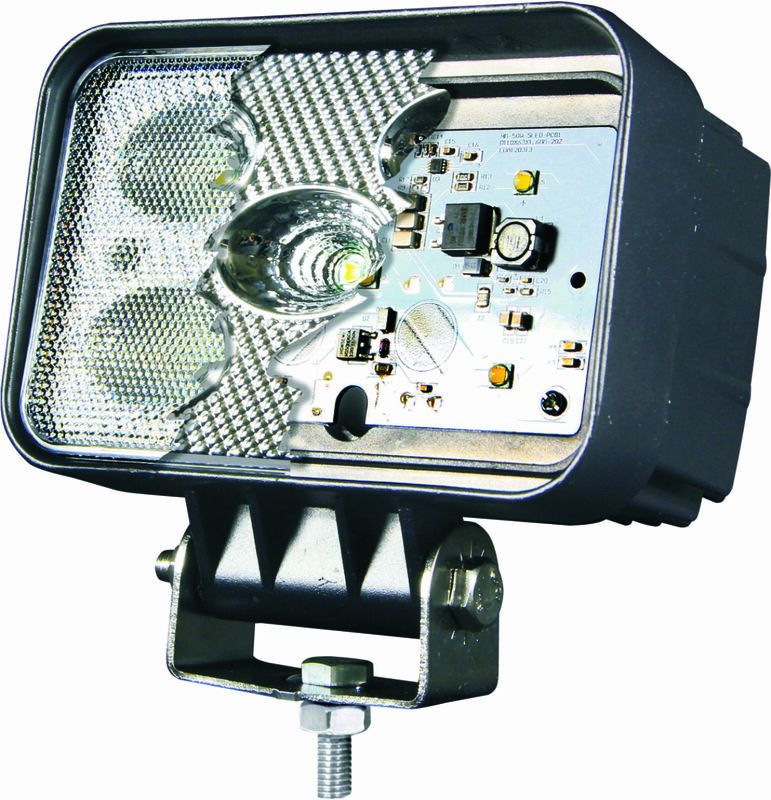 We have a wide range of LED and HID vehicle lights in various wattages, designs and sizes. There's been a growing demand over recent years for vehicle lighting which consumes less power and is far longer lasting than conventional filament bulbs. LED lights very much meet that need, and for the same power consumption will produce greater luminosity and a whiter light. 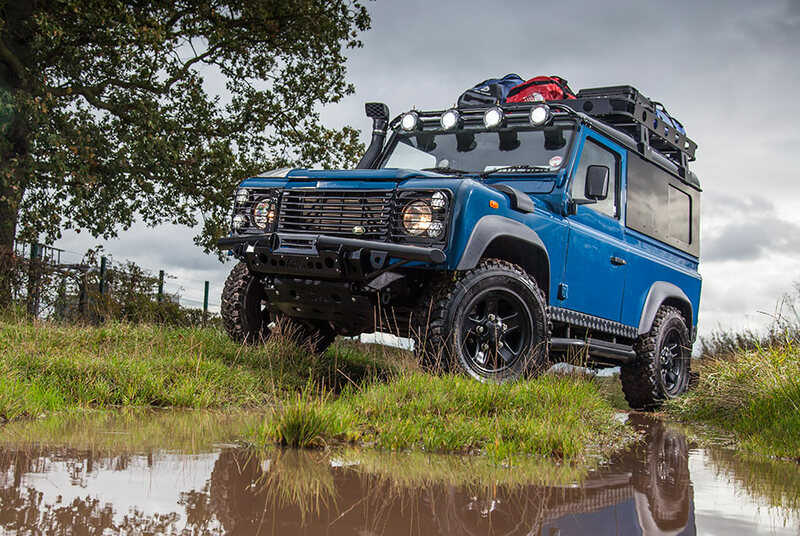 Recognising that, we have sourced high-quality LED and HID vehicle lights from around the world and will be bringing further ranges over the coming years. High intensity Epistar LEDs are energy-efficient compared to filament or halogen lights and CREE LEDs are even more powerful and energy-efficient than Epistar LEDs. If you’re running additional lights off a switched off engine, then high-efficiency HID and LED lights will drain the battery slower than traditional filament or halogen lights. 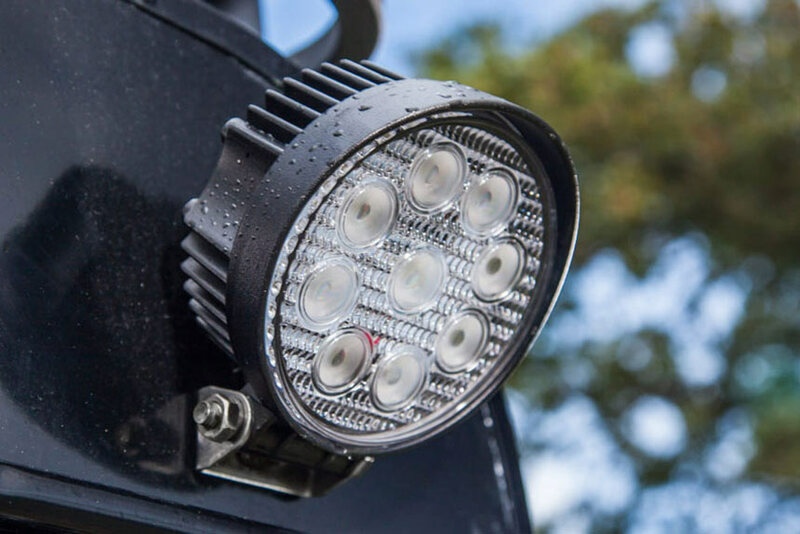 The light you see below is a 4 inch LED work light producing 2,150 lumens at 27 watts with 9 Epistar LEDs - which can be fitted to a wide range of commercial and domestic vehicles. Delivery is from our Staffordshire UK depot. Delivery charges are an additional cost and are automatically calculated by weight and volume. Our shopping cart will automatically work out a total delivery charge (including packaging) for most countries AFTER you have entered your full and accurate delivery address. Please call us if you want to collect from our Staffordshire depot. We generally despatch within 2 working days after your payment has been verified. Delivery is by courier and packages need to be sign for – and once goods are despatched typically take 1–3 days in the UK, and 2–6 extra days if delivery is outside the UK. We will call or email you if a package is likely to take longer. If delivery is inside the European Union country then VAT will be charged. If outside the European union VAT will NOT be charged on the final page of the checkout. You need to add your country, region and post code/zip code on the checkout for our system to decide if you are going to be charged VAT. If delivery is outside the European Union, we supply customs forms and the receiver of the goods is liable for IMPORT DUTIES, if any; not all countries will charge this. It is payable to the courier company or customs office in the receiver's country. We have no way of knowing what the duty amount will be. You need to check with our country’s customs authority. You need to pay the customs duties, if any, before you can receive your package. If you do not pay the duties, the package may be returned to us and you are not entitled to a refund. Online payments go through a secure gateway with 256 bit SLL encryption. You can pay online with any major debit or credit card using PayPal, whether you have an account with them or not. OR you can order by telephone. If outside the UK - PayPal, or your bank will convert the GBP£ price to your local currency at their exchange rate, we have no control over this. We take security very seriously, which is why we have chosen to use online credit and debit card processing facilities provided by secure gateway payment service providers. Your online purchase from us will take place in real time, and we will never see your credit card details, and are not saved in our website or e-commerce system. You can have confidence that our online purchasing facilities are secure and safe to use. Please feel free to telephone us if you are unsure of which lights to buy or have any other enquiry.